Yesterday afternoon the sun was shining into my room and making some shadows of different objects on my table. By looking at the shadows I decided to make a puzzle for this community. The picture below is what I arranged on my table and I want you to find the height of the pencil. 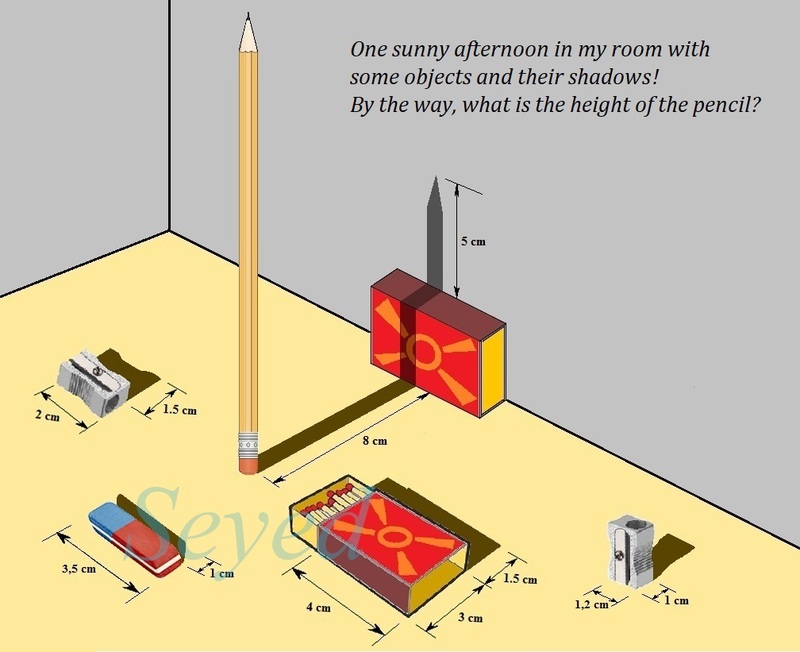 2:3, that is, a 2cm object would create a 3cm shadow. 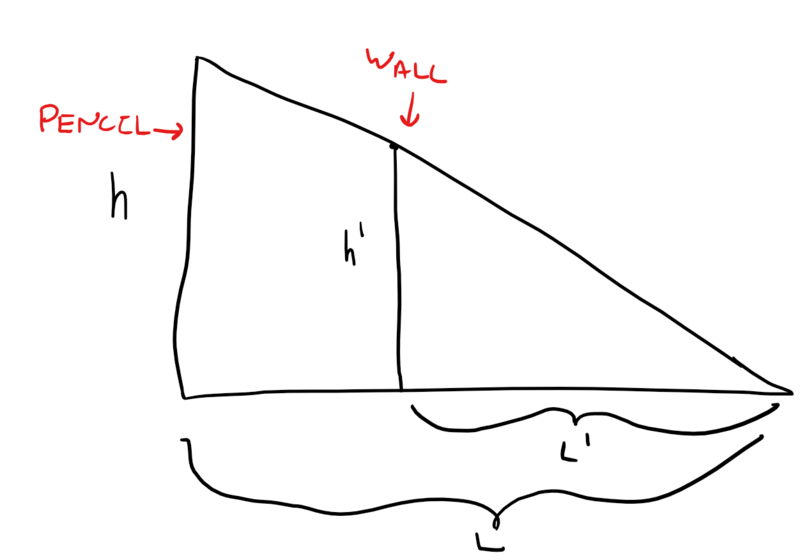 this is because the shadow has two parts, horizontal would be proportional, but vertical would be similar. By that I mean, the vertical portion of the shadow is parallel to the pencil, hence it must be generated from a length of pencil equal to itself. Now for the horizontal portion, notice the width of the sharpner. The shadow is in the ratio of 1.5:1 w.r.t. the body. Hence the horizontal portion of the pencil's shadow must also be in the same ratio. Since the horizontal portion of shadow is 8cm + 1cm = 9cm.